I've mentioned it a couple of times already and kept you waiting very patiently... #sorry. Now, you will finally get the chance to win a beautiful handmade FRANGIPANI Hair Pin by SAYA DESIGNS. 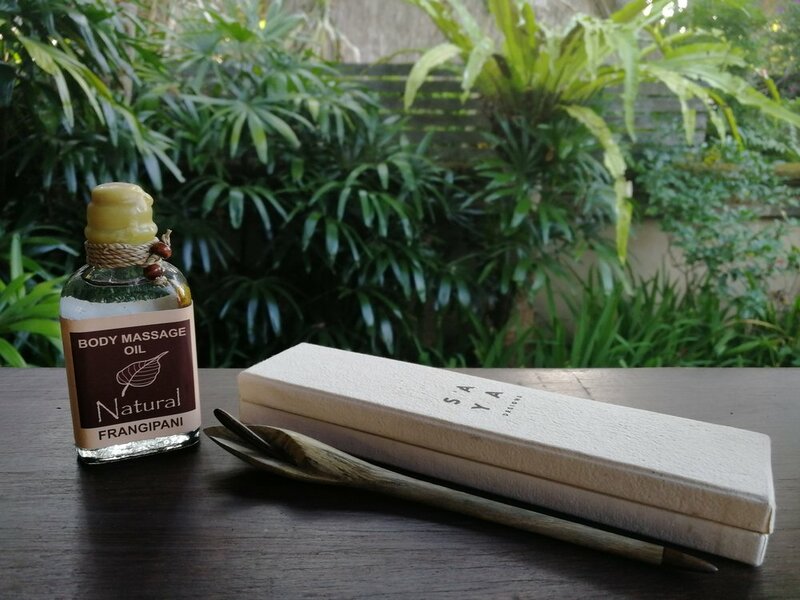 This company is inspired by #nature and #handmade by #Balinese #artisans from Java and Bali - Ubud. S A Y A Designs is a brand new heart fuelled venture launching a #unique collection of #handcrafted and beautiful #hairpins made from root wood salvaged from old #plantations. Each classic design is enforcing a 100% #reusable and #biodegradable option to all the current plastic and elastic disposable #hair accessories. My class at school are currently learning about how #deforestation is effecting our planet and what they can do as eco warriors to help! SAYA Designs is a great example of a company that truly cares about their impact on our environment and even go the extra mile to plant new trees! I brought this SAYA Designs hair pin into school (along with a few other eco friendly goodies) to show my class. I explained to them that this company is utilising the root wood ruins of old deforestation plantations and planting new trees to replace them! This example demonstrated to them that even when you feel like you can not change a situation, you can do your own bit to have a positive impact! They were fascinated and so engaged in their learning! We certainly were using SAYA Designs moto and #turningheadsforgood! So much so, that they all wrote persuasive letters to Theresa May, to encourage her to put a stop to deforestation! They are making an extra effort to reuse paper and put it in the appropriate recycling bin in our classroom. Some children have even decided to reduce their carbon footprint by walking to school a couple of days a week; turning electrical plugs off... including their alarm clocks... #eeek and deciding to save water, by not washing their hands or flushing the toilets... ;) hmm haha! But the great thing is that they are all thinking consciously about what they are doing on a daily basis, and what influence or consequence it has on our world! If we are teaching our children about these responsibilities, lets help them by becoming their eco role models and do our bit for not just our planet, but our children! Now quickly enter! Don't miss out on this unique #giveaway! We are accepting international entries, but closing times are based on UK times! Mandatory: You will need to follow @RoEco_Fashion AND the sponsor @saya_designs on a social media network: INSTAGRAM, FACEBOOK and/or TWITTER. Both accounts must be followed on at least one platform in order to be legible to win. Any questions please comment, share, like or get in touch! Lets support each other to help the world and our children!